The British have just intercepted a message from General Washington, dated May 29, 1781. Could it be the location of the Continental Army? Instructions for a spy? They open it – and howl with laughter. “His teeth ‘stand in need of cleaning’?” Another mocked. This British-captured letter was intended to reach one of Washington’s dentists, Dr. John Baker. And it wasn’t the only missive the General penned concerning his chompers. Over the course of his life, tooth decay, abscesses, and other oral ailments were a source of great pain and even embarrassment for the General. At the age of 24, he had his first tooth pulled, despite staunch efforts to care for his pearly whites. 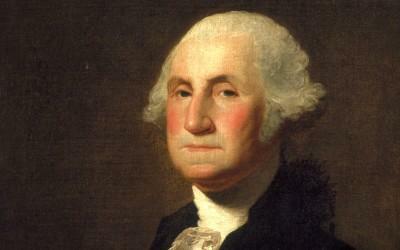 Washington’s tooth infirmities were no secret. In 1760, fellow Virginian Captain George Mercer wrote that the General’s “mouth is largely and generally firmly closed, but which from time to time discloses some defective teeth.” Even John Adams commented on the sad state of Washington’s mouth, noting that Washington attributed his unfortunate smile to cracking walnuts when he was a boy. During the Revolutionary War, Washington summoned French dentist Jean Pierre Le Mayeur to come to his New York headquarters for some much needed dental work. At the age of 49, Washington had already been wearing false teeth wired around his remaining ones for the past two years. Dr. Le Mayeur also visited Mount Vernon frequently from 1784 to 1788, and became a great favorite with the Washington family. General Washington, always concerned about his appearance, noted to New York dentist Dr. Greenwood on January 20, 1797 that his dentures “bulge my lips out in such a manner as to make them appear considerably swelled.” That same year, a new set of dentures was ordered – his last. During his presidency, he had just one remaining tooth – which he also eventually lost. 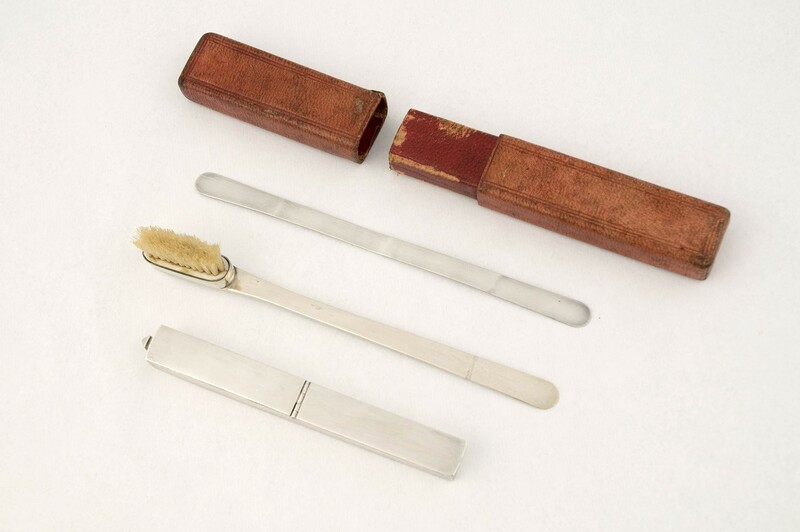 During these hectic years, Washington used a traveling dental set which included a tooth brush, tooth powder (what we could call toothpaste), and a tongue scraper. 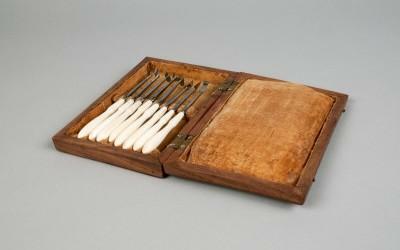 He also kept a set of dental cleaning tools, similar to those a modern dental hygienist would use, at Mount Vernon. If Washington was alive today, he’d certainly be a huge supporter of the six-month dental check-up! Dr. Susan Schoelwer, Curator at Mount Vernon, highlights the many interesting facets around Washington's dentures. Separate fact from fiction and learn more about George Washington and his troublesome teeth. Were his dentures really made of wood? 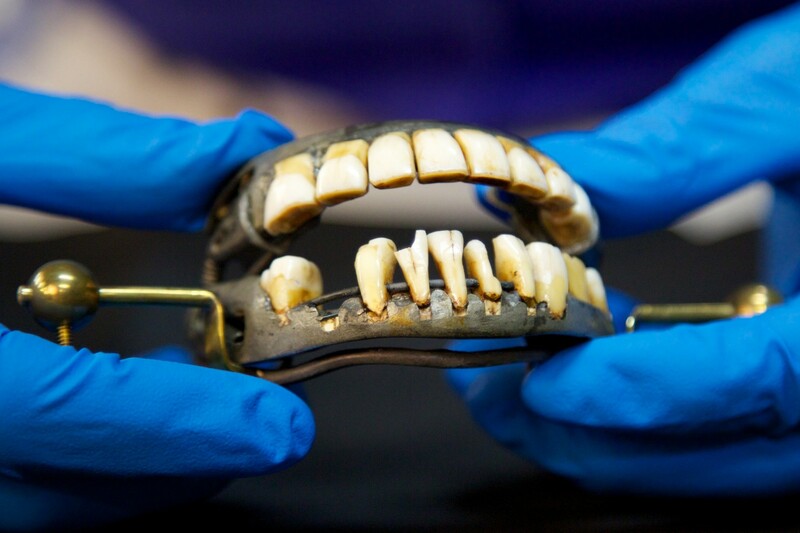 Learn more about George Washington's dentures. 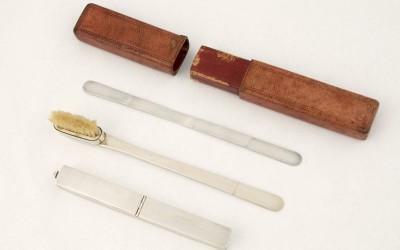 On May 23, 1755, at the age of 23, Washington records the purchase of two toothbrushes, the cost of which was a total of one shilling, nine pence in his ledger. At the tender age of 24, Washington's first tooth was extracted despite having taken care of his teeth in his youth. His letters indicate that he had purchased toothbrushes and dental powders before this date. Despite the declining state of his teeth, Washington continues to purchase toothbrushes and "dentifrice". On November 11, 1773, Washington makes these purchases from Dr. John Baker, which cost one shilling five pence. In 1781, Washington writes to his dentist Dr. William Baker, requesting pincers to affix wire to his teeth, and also to be provided teeth scrapers. He also appeals to the doctor that his teeth are in sore need of cleaning. This letter was intercepted by the British the same year. At 49 years old, Washington wears false teeth wired to his remaining ones. He'd already been wearing partial false teeth for nearly 2 years. Washington begins a rapport with French dentist Dr. Le Mayeur, a relationship that would last for a number of years. The Washingtons entertained Le Mayeur frequently at Mount Vernon, and the General's step-grandson young Washington Parke Custis (Washy) took an especial liking to the kind dentist. 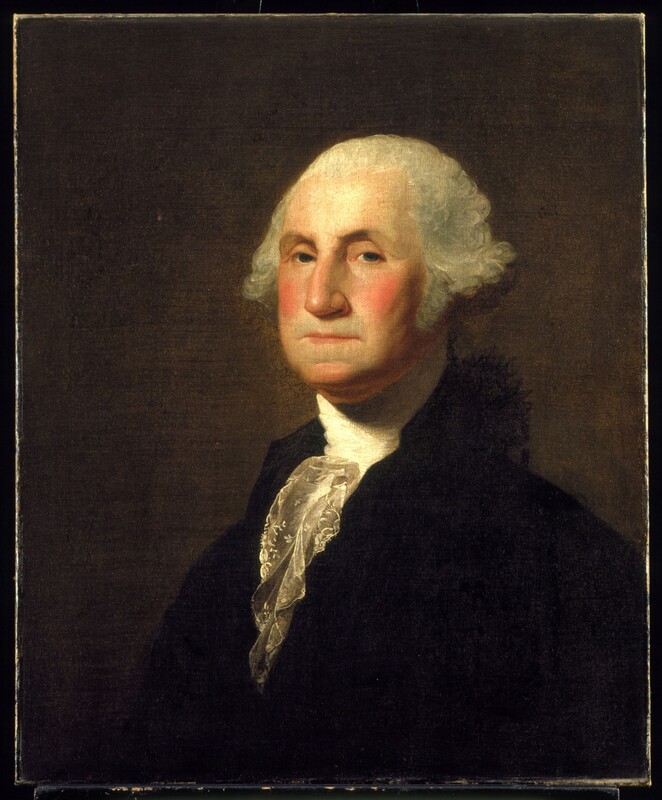 Washington uses a combination of wax and plaster to fashion a model of his mouth for his dentist. 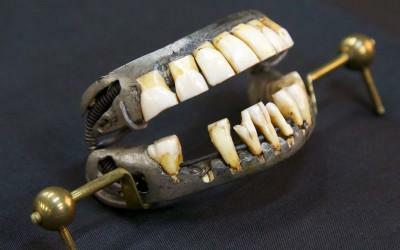 Washington's final pair of dentures are made from a combination of metal, human teeth, cow teeth, and elephant ivory. 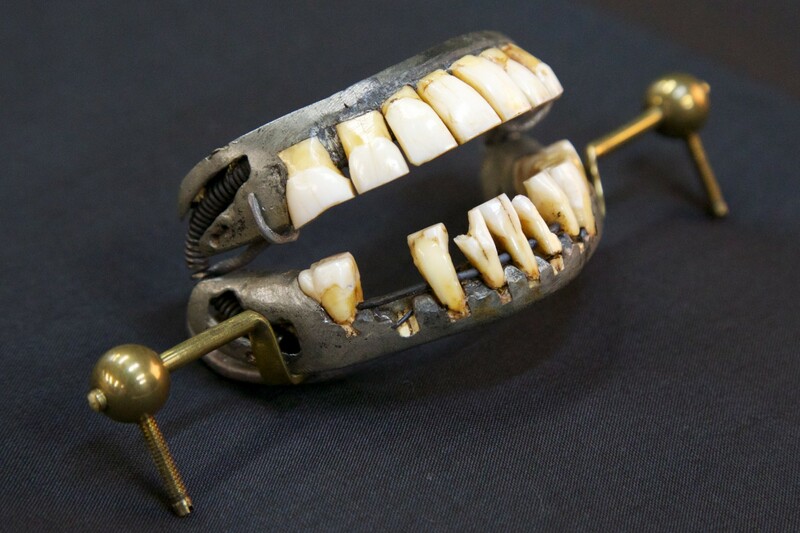 These dentures have been preserved and reside in the Mount Vernon collection. Dentist Dr. Greenwood extracts Washington's last tooth, which the General presents to him as a token of his regard. 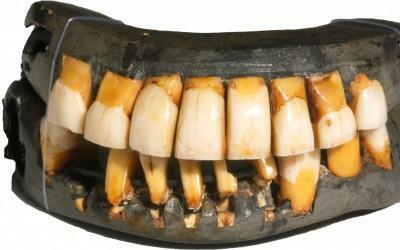 Washington's dentures were made from metal, human teeth, cow teeth, and elephant ivory. 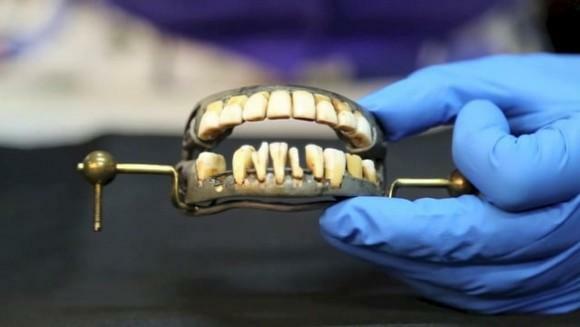 Washington's last set of dentures was made in 1787. 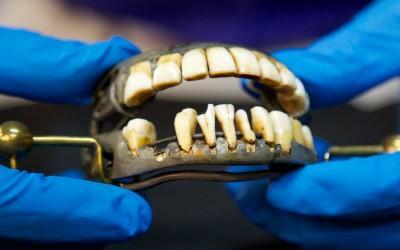 Washington's dentures have been carefully preserved. 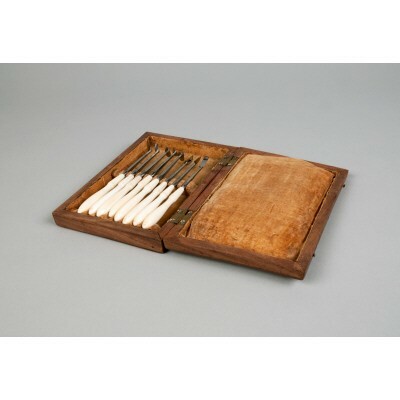 Washington's dental hygiene traveling set, c. 1795. Washington's dental scaler set, c. 1790-1802.